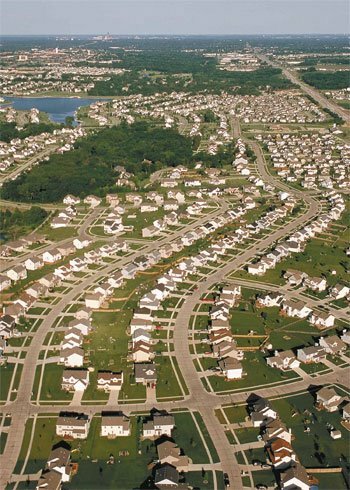 because the fact is, the American people want to be safe, we invade their homes and their privacy as a safety precaution. these folks know we are spying on them to make them safer. im sure youll hear something very close to that. I doubt bush will mention these wiretaps again, but if he does we have to KNOW that its all crap. No reason can he give that will allow for this intrusion, he is a liar and he surrounds himself with liars, willing to compromise integrity for self satisfaction, the satisfaction of a job well done, even when the job is detrimental for the base this country was founded upon. 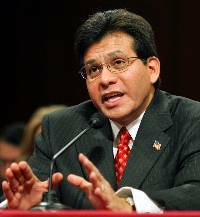 The Attorney General Alberto Gonzolas was counsel to the white house at the time of the launch of illegal wiretaps, and he helped affirm Bushs authority to do so, and yet at his confirmation hearings, under oath he said, that it was not the policy of this president to break the law, he then told the comittee that he would be forthecoming with congress if any such warrentless surveilance should happen to arise. Good Job. It was like he couldnt shut up. They want to invade our comunication with each other, for no other reason that I can think of but for controling us, intimidating us, and profiting from us. It has to be stopped, this administration is out of control, the power they have taken so brazenly is frightening, and illegal. They lead only for the purpose of profit, and we are making them more powerful and more rich, by sitting silently, the longer we sit, the more impossible it will be to stand up. 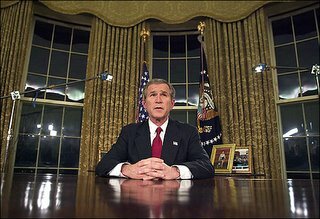 It has been reported that tonight Bush will announce that "America is addicted to oil". 2006, addicted to oil. WOW. 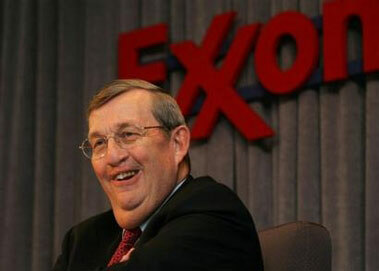 This man and other high ranking white house officials are OIL. This administration has brought oil companies record breaking profits, Exxon Mobil broke ALL records for any US company, with a profit of $36.13 BILLION in 2005. PROFITS! While you were gassing up at three dollars plus a gallon they are making these kinds of profits. This was price gauging, they could not have gained all those billions in profit any other way, sheer lawlessness. stop the addiction for you, the sooner you can realize that your SUV and the trip to Walmart are hurting you and helping the big corporation, the sooner you will find freedom, thats where its hiding. 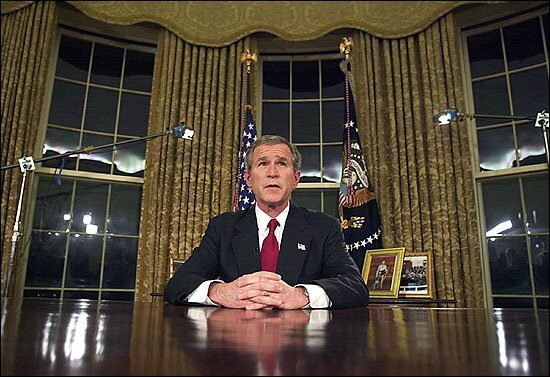 We will hear the same amount of lies and inconsistencies tonight, that we often hear from the Bush people. They stole America right out from under us, and he stands there spouting his definition of what a leader is and does for the people. He said last week that his job is to make decisions that affect many peoples lives. This guy sounds like some kind of lunatic, his decisions, we have Judicial and legislative branches also, and above all including king George, we have the constitution. This system was to ensure that no one person could be in control, the manipulation of the office of the president that we see today is unjust. 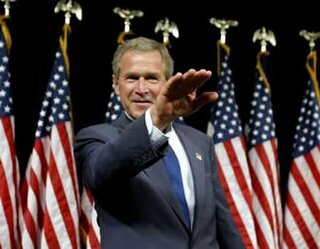 There is not just one man, but one group using this man to promote themselves, so with the help of the neoconservitive movement George W. bush is president and With the help of George W. bush, the neoconservative movement has taken over.